Each month as part of this series from the AAS Historical Astronomy Division, an important discovery or memorable event in the history of astronomy will be highlighted. This month, guest author Rebecca Charbonneau of the National Radio Astronomy Observatory focuses on Jerry Ehman and the mysterious Wow! signal. The first thing that struck Ehman was the strength of the signal. The project used an alphanumeric code to record intensity of signals based on signal-to-noise ratio. On a scale ranging from 1 to 35, 1-9 were represented numerically, and 10-35 were represented with letters. The Wow! 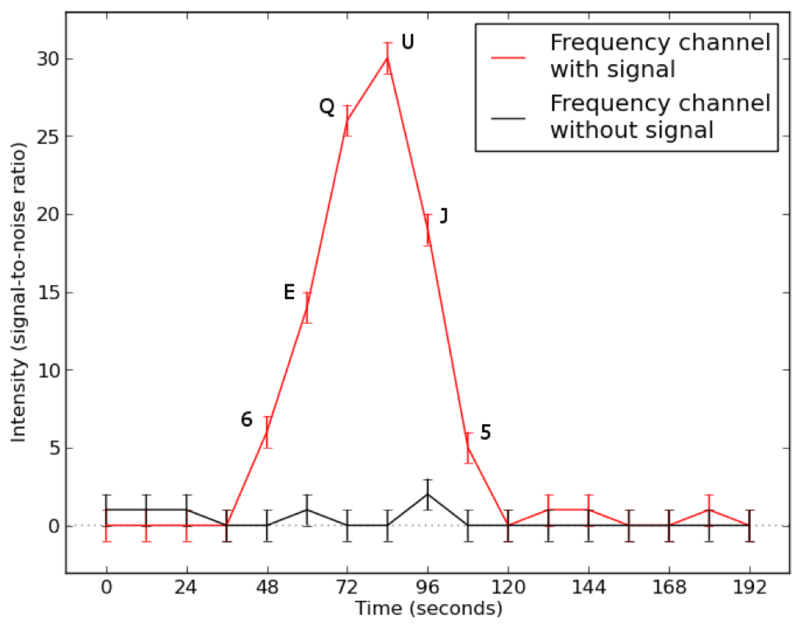 signal read as “6EQUJ5”, meaning it reached a peak signal-to-noise ratio of 30 (Figure 2). Curiously, although Big Ear had two feed horns, which observed sources at slightly different times as the sky passed overhead, the Wow! signal passed through only one of them. Figure 3 depicts the continuum signal, the sum of all frequency channels. The background radio galaxies from the survey appear twice, indicating they passed through both beams. While the Wow! signal is not visible in the continuum, it appears only once in the spectral record, indicating it came from a transient source. As a result, speculation quickly arose that the signal might be a fleeting transmission from extraterrestrial intelligence. However, like many radio astronomers pestered about the possible extraterrestrial origin of their signals, Ehman did not believe the evidence was convincing enough to make a claim of first contact. Nonetheless, the Wow! Signal excited the SETI community. 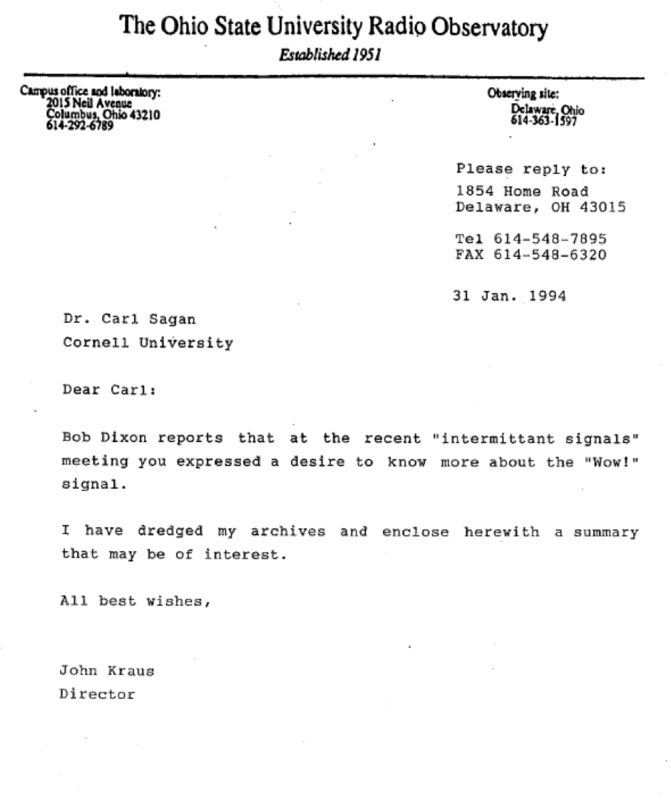 Figure 4 depicts a letter by John Kraus held in the archives of the National Radio Astronomy Observatory, in which he responds to a request from Carl Sagan for more information about the signal. One final peculiarity about the Wow! signal is that it did not repeat. Since the discovery, there have been dozens, if not hundreds, of follow-up observations, all of which came up empty. Many have posited possible explanations ranging from spy satellites to comets; yet no convincing consensus has been reached. “I can speculate... but there's nothing to back it up”, Ehman said in an interview in 1994.5 Regardless of its origin and the skepticism of its discoverer, the Wow! signal has long remained what some might consider the best candidate to date for an intelligent extraterrestrial signal. Figure 2: Wow! signal time series, created by Rebecca Charbonneau and Jackie Villadsen. 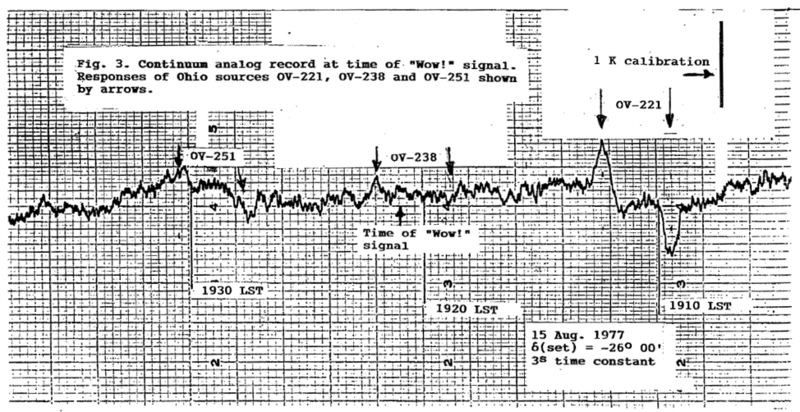 Figure 3: “Continuum analog record at time of Wow! 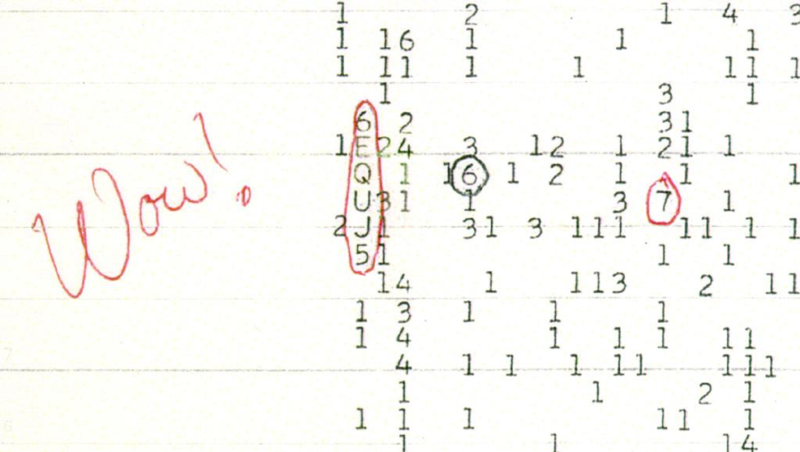 signal” from Papers of John D. Kraus held in the National Radio Astronomy Observatory Archives. Figure 4: Letter from John Kraus to Carl Sagan, from Papers of John D. Kraus held in the National Radio Astronomy Observatory Archives.